Singer, songwriter and pianist Aretha Louise Franklin died at 9:50 a.m. at her home in Detroit, surrounded by family and friends, according to a statement on behalf of Franklin’s family from her longtime publicist. Tributes have been flooding since the news of that the Queen of Soul – who first performed in a gospel choir as a child has passed away. US presidents past and present joined entertainment stars and fans across the globe in remembering the Queen of Soul following her death on Thursday, with Barack Obama and wife Michelle describing her as “divine and unmatched”. Her representative, Gwendolyn Quinn, confirmed that the singer had passed away at 9.50am local time at her home in Detroit, Michigan. 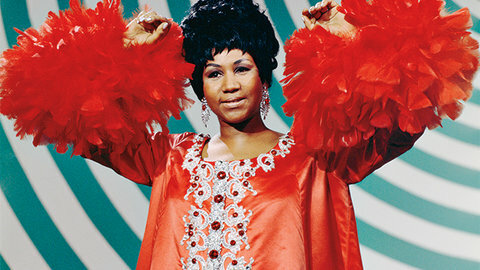 The singer – born on 25 March, 1942, in Memphis, Tennessee, to a preacher father and pianist and vocalist mother – had cancelled recent shows due to ill health, and was later reported to be seriously ill just a few days ago. Franklin sang at Barack Obama’s inauguration in 2009, and the former president was quick to issue a powerful tribute with his wife. Even former president, Bill Clinton, said in a joint statement with wife Hillary that Franklin was “one of America’s greatest national treasures”. American singer and songwriter Stevie Wonder had also visited the singer at her home earlier this week. Numerous other artists – including Beyonce, Jay-Z and Mariah Carey – sent their best wishes on hearing she was seriously unwell, and later issued their own tributes. In a three-part message posted on Twitter, Carey described her as “the greatest singer and musician of my lifetime”. Franklin had announced her partial retirement last year, with her most recent performance coming in November at Sir Elton John’s Aids Foundation’s 25th anniversary gala in New York.